Chief executive officer of the BOCES. Oversees all BOCES offices and services. 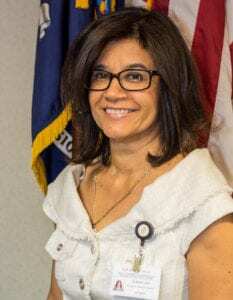 She also oversees the executive leadership team, school attorney, certification specialist, human resources, Superintendent Council and Superintendents’ Success Network (SSN). Oversees all business office operations (including payroll, financial management and planning, rent and capital projects, and contract administration and management), business officials meetings, business operations of the Education Foundation and the Administration and District Services Superintendents’ Subcommittee. Also oversees all business and financial services, including state aid and financial planning service, BOCES planning and support service, STAC service, shared business manager, GASB45, internal audit, central business office and human resources service, administrative management and planning, claims auditing, fixed assets, Health Insurance Trust, Workers Compensation Consortium, cooperative purchasing and equipment leases. Also oversees health and safety, risk management, operations and maintenance (O&M), shared O&M, couriers and warehouse operations, information technology, program reviews and textbook program. He also participates in the Joint Management Team (JMT) business officials’ meetings. The administrative budget supports the management and leadership provided by the BOCES board and central administration, which includes the District Superintendent, business office, and board clerk. The Business Office is responsible for accounts payable/receivable, budget development, and purchasing. Please call 518-477-8771 to reach this office. Interesting in bidding, surplus or RFP information? Contact Purchasing Agent Julie Best at jbest@questar.org. 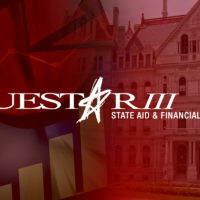 Questar III is authorized by the State Education Department to evaluate and recommend certification for areas related to professional services. For more information, contact Denise Geyer at 518-479-6883 or dgeyer@questar.org. This office oversees the hiring of new employees and staff benefits. Please visit our employment page to view openings and information on how to apply. Questar III employees looking for forms or benefit information should visit InfoCenter.